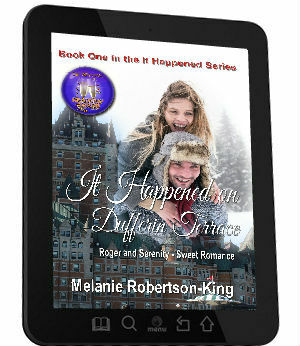 In Author Melanie Robertson-King’s latest novel, IT HAPPENED ON DUFFERIN TERRACE; I met a cast of characters that I will not soon forget. Each one has special needs that touched my heart and had me hoping that life would turn out right for them. First, there’s Serenity Layne, a business lady, whose boss gives her a new assignment to visit the department store chain, jonathans, and study each store. She is to see which ones are doing well and which ones are not. If she does a good job, she might get a raise, a promotion, or even a partnership. Who could refuse a deal like that? Enter a dog, a man, and a boy and her whole life changes, even more so than just the possibility of a better job. The author has created delightful characters that are so real; they might be your next-door neighbours. I found myself crossing my fingers that all would work out for Serenity and also for her new friends. I cannot resist an adorable dog. Or a ten-year-old boy. You have to love them. Just like its protagonist, Serenity Layne, the writing in this book starts out a bit distant, cold and sparse. Giving up its tale while protecting itself, never giving away too much all at once. Serenity is the ultimate career woman, working too many hours, never making friends or attending social functions as a means of having fun. Career advancement and self preservation are her focus. When a major assignment sends her off on a tour of Canada, and a series of retail stores, her goal is do the best job she can and earn a promotion and corner office. We get a glimpse of her future early in the book but must wait for the story to play out. As Serenity realizes there is more to life than work and recognition, the writing warms up as well. 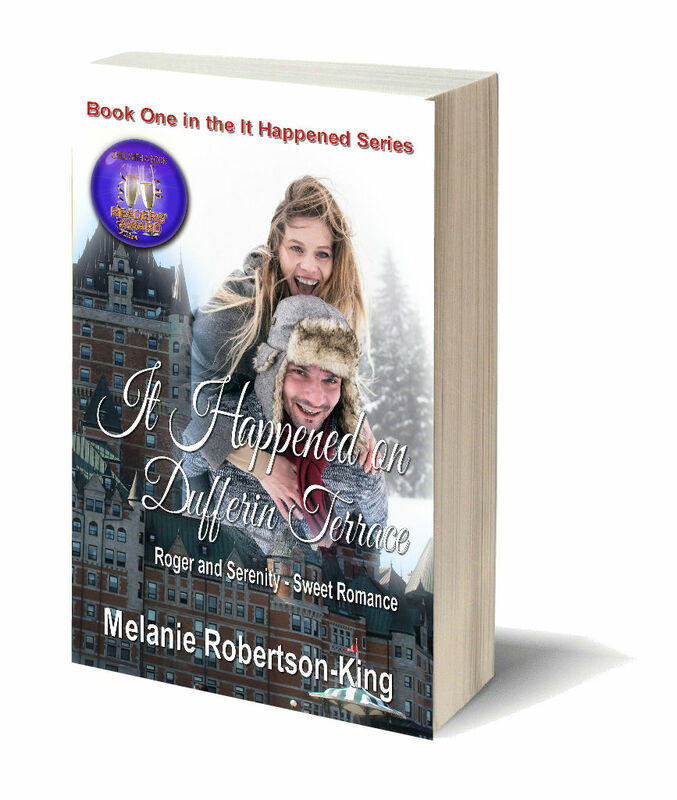 Quebec City is known for beautiful architecture and historical events, but after meeting Roger Scott, Serenity becomes aware of more than the dark side of humanity. Serenity Layne has been tasked, by her company, to spend 6 months auditing a chain of department store chain that have been running for over 100 years. She is to travel the length and breadth of Canada and come with a plan to bring the stores into the 21st Century despite some opposition. Not everyone likes her ideas and is willing to modernise things. Travelling around for 6 months, living out of a suitcase is no great hardship for Serenity. A horrible childhood and a brother she pretends doesn’t exist, means Serenity is used to being on her own. There is a real sadness about her that she tries her hardest to keep hidden. She’s not only alone but lonely……….if only she’d admit it to herself. She’s never yearned for anything more in her life than her career. To be a partner in the consultancy firm she works with has been her ultimate dream. That is until she meets Roger and his son Adam. Roger hasn’t dated in many years, a widower for 3 years who has concentrated on bringing his son up alone. However, Adam has other ideas and is keen for his father to find that special someone. Could it be Serenity?